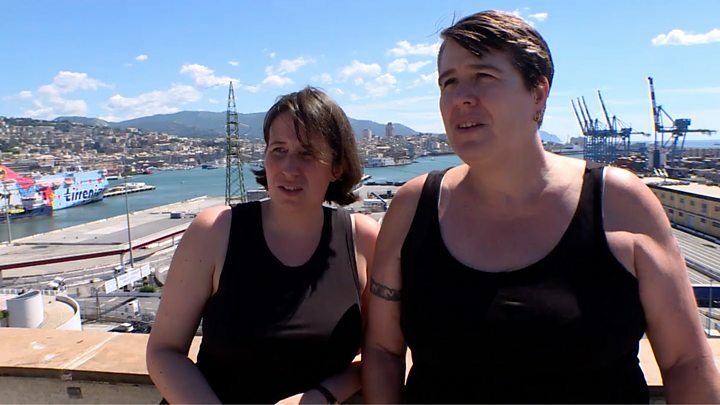 Hair-raising stories of narrow escapes from the Italian motorway bridge collapse have emerged, two days after the disaster in Genoa. A salesman was saved by firefighters after his falling van got caught in the wreckage of the bridge, while his companion plunged to his death. At least 38 people died and 15 were injured when the bridge fell. 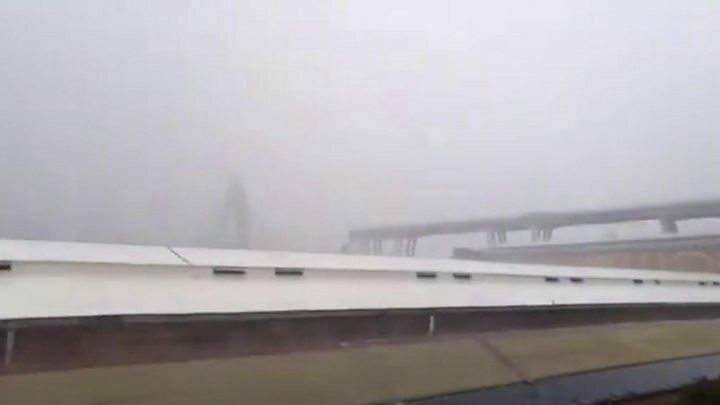 Francesco Cozzi told Reuters news agency by telephone that this was the working hypothesis based on information from relatives who had not heard from family members and the number of vehicles thought to have been on the bridge when it went down. Dozens of vehicles dropped when a huge tower and a section of the Morandi bridge measuring about 200m (656ft) collapsed about 45m on to railway lines, a river and a warehouse. The Morandi, which was built in the 1960s, stands on the A10 toll motorway, Italy's main land corridor with France. Infrastructure across Italy will be double-checked in the aftermath of the disaster, the government has promised. The bridge's operator, Autostrade per l'Italia, is under mounting pressure from politicians and share traders, with the government threatening to terminate contracts and impose heavy fines. At one point in morning trading, shares in Autostrade's holding company, Atlantia, fell by as much as 25%. The daring rescue of computer games salesman Gianluca Ardini, 29, was recorded in a video tweeted early on by the fire service, which has deployed hundreds of personnel to the scene. 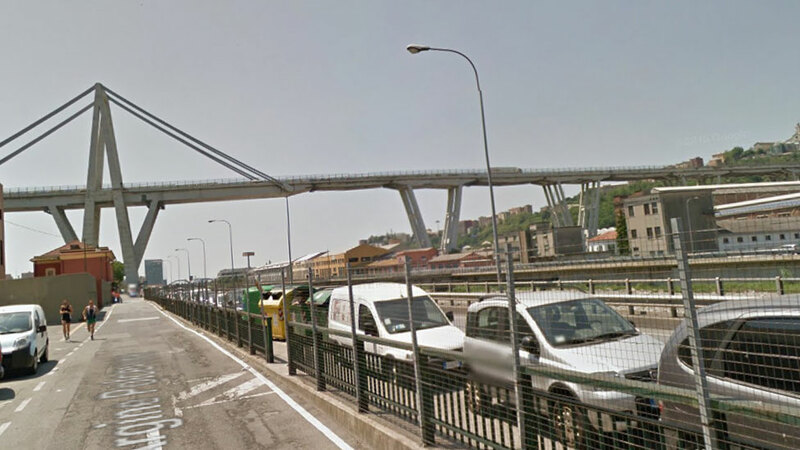 Rescuers lowered him on ropes from his van, which was trapped in the remains of the bridge, some 20m above the ground, local news site Genova24 reports. He is now in hospital with an injured shoulder. His pregnant girlfriend, Giulia Organo, said she believed the thought of seeing his baby being born had given him the strength to cling on while firefighters worked to free him. Mr Ardini's travel companion, 35-year-old Luigi Matti Altadonna died in the bridge collapse. 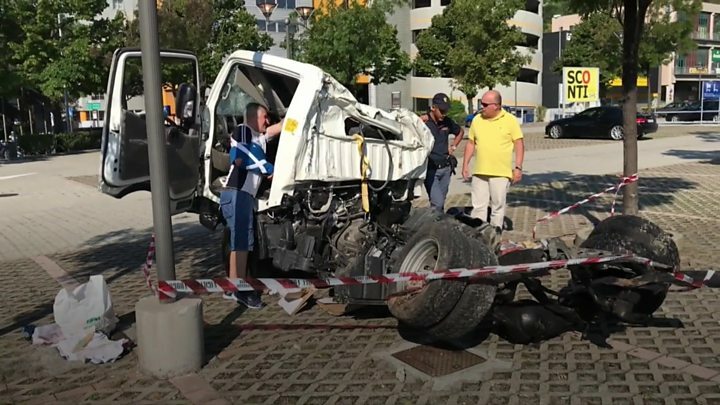 Luciano Goccia was in the cabin of his pick-up truck in a car park when the shock wave from the collapsing bridge slammed into it. "I had just arrived underneath the bridge," he told Reuters news agency. "I opened the truck door to get out and then I felt the roar. When I turned, I was thrown through the air and hit a wall and I lost my breath. The blast of air that had thrown me backwards saved my life." Returning to the car park to look at the wreck of his vehicle, he said his escape had been "more than miraculous". His right arm in a sling, he said he was well but could not bring himself to look up at the broken bridge. What's the latest from the scene? Hundreds of emergency workers and firefighters are still there and speak of not giving up hope, although they accept there is very little chance anyone will now be found alive. "We are still looking for cavities that can hide people, living or not," fire official Emanuele Gissi told AFP news agency. Hundreds of people cannot return to their homes, particularly residents of council housing blocks that could be at risk from the collapse of another tower. The blocks may have to be destroyed when a new bridge is built. Several people are listed as missing but officials are reluctant to link them with the accident as yet. Three Chileans, who lived in Italy, and four French nationals are among the dead. There will be a national day of mourning on Saturday to coincide with the funerals of victims. Prime Minister Giuseppe Conte has declared a state of emergency for the Liguria region, which includes Genoa, one of Italy's busiest ports. The Genoan Public Prosecutor's Office has opened an investigation into possible negligent homicide. Its lead prosecutor has blamed "human error". It is not yet clear. There was torrential rainfall at the time. Work to shore up the bridge's foundation was being carried out at the time, the motorway operator said. 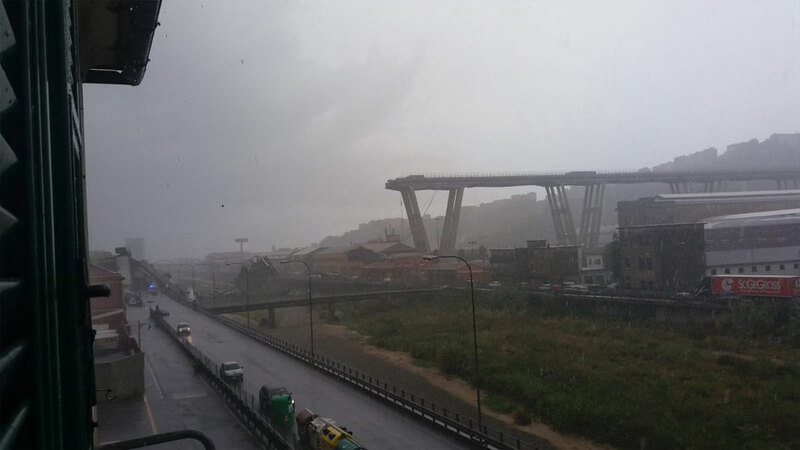 Autostrade per l'Italia added that in 2011 the bridge had suffered degradation due to heavy traffic. What accusations are being levelled? Deputy Prime Minister Luigi Di Maio has threatened to take Autostrade per l'Italia's job into state control. "It's not possible that someone pays a toll to die," he said. "Those who were supposed to do the maintenance work did not do it properly. That bridge should have been closed before this tragedy happened." It says checks were carried out quarterly by world-leading experts and had shown no cause for alarm. The Milan-based Atlantia, partly owned by the Benetton family, insisted the government would have to reimburse the value of the contract if it were revoked. A fuming Mr Di Maio said that "while bodies were still being counted" the company was speaking about money it would get from cancelled contracts. "This is shameful, always thinking about profit," he said.